I saw it once..I saw it twice. It was that funny. 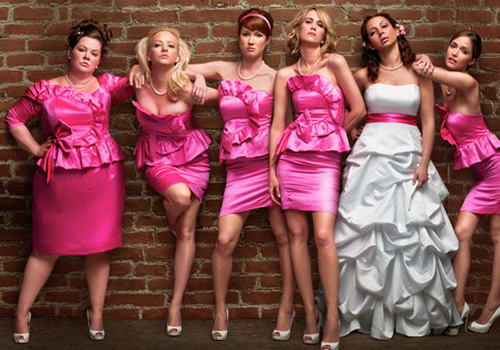 Bridesmaids had me from the first scene to the closing credits laughing like I had never laughed before. Seeing it a second time even made it better. This movie of two best friends, as one of them decides to get married, transcends the story and showcases what an ensemble cast of standout comedians can do. All these women bring on their game with a well written script that resonates with a heartfelt story. Kristen Wiig as Annie pulls off one of the comedic performances of the year as the lead character. Her drunk routine on the airplane will become a classic to be studied in acting classes as well as her breakdown at the bridal shower. Melissa McCarthy as Megan steals many scenes as the tough but soft-hearted bridesmaid. This is a must see movie. I hope you treat yourself to it.